pinnacle8 features 8mm toughened safety glass throughout and is treated with Lifeshield™ protective coating for easy cleaning. All enclosures are 2000mm high and covered by a lifetime guarantee against material or manufacturing defects for your complete peace of mind. 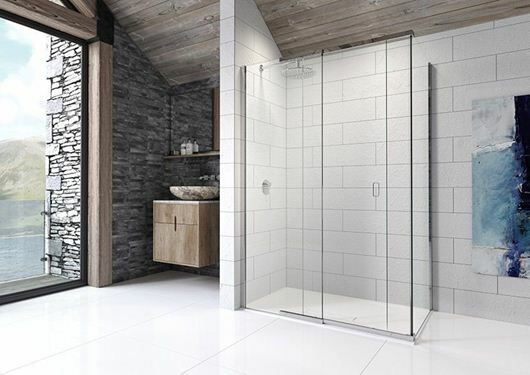 The sliding door is available sizes ranging from 1000mm to 1800mm so there is sure to be a solution to suit you. With concealed fixings throughout these stylish minimalist doors are both easy to install and stunning to look at.